Carpenter Ants are in fact a very important part of the ecosystem, helping to breakdown rotten and decaying wood in the natural environment – making Carpenter Ants one of the most common wood destroying insects in the northeast. However, they can cause serious property damage if left unchecked in your home. This damage is caused because they excavate wood for building their nests…which can impact the integrity of the structural wood in your home. Carpenter Ants get their name because they chew through primarily damp or rotten wood for nesting… But did you know they actually do not eat the wood? Carpenter Ants are foragers or scavengers. They will search their environment for all types of food matter…such as the goldfish your toddler stashes about the house. While there are several varieties of carpenter ants, they are most commonly found in cool, damp climates in the northern regions of the U.S.
Carpenter ants usually enter your home through cracks around doors and windows, holes for wires, or directly through wet and damaged wood. 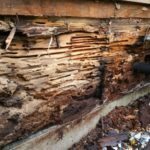 If you find unusual little sawdust piles and notice the wood in your home has little openings or holes – this could be signs of carpenter ants tunneling through the wood in your home. 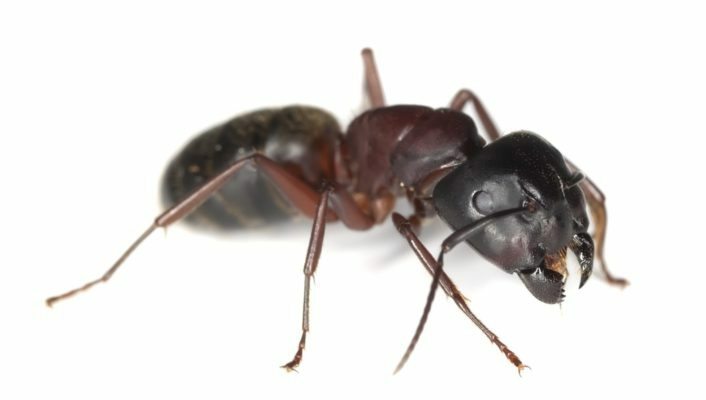 Carpenter Ants are a large ant, larger than most other ant species and can be black or red in color. 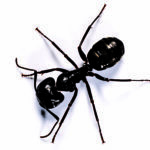 If you notice these type of ants in your home or see any signs of carpenter activity in your home, call a professional at Modern Pest Services to do an inspection. Because these ants could be quietly and unsuspectingly chewing away at your home, creating unknown damage; the sooner you address the problem, the less serious the damage is likely to be. Waiting could result in costly repairs. Especially since most homeowners insurance do not cover the cost for these type of repairs. If you suspect the presence of carpenter ants in your home call 1-888-997-3312 to schedule a service right away.